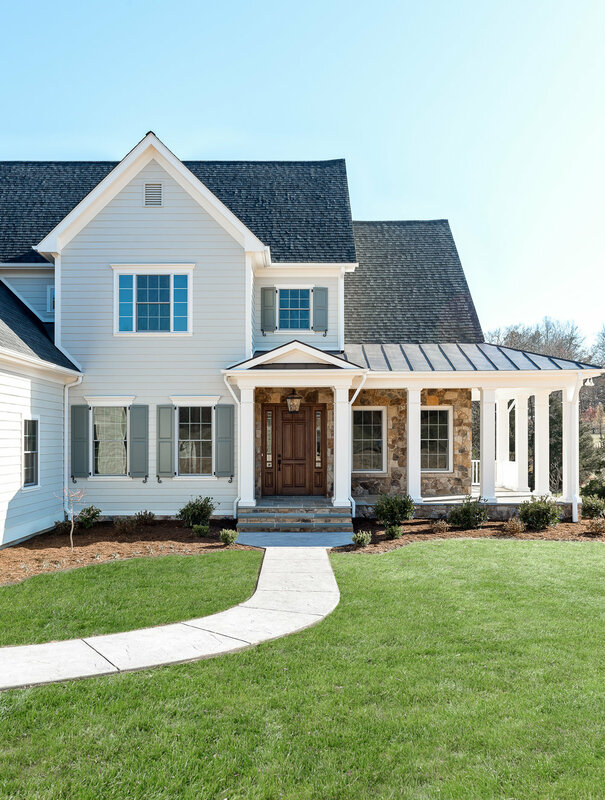 MacMillan-Pace, LLC is a custom home builder, building primarily in Charlottesville and Albemarle County. As a small company comprised of two principals, MacMillan-Pace prides itself on its personal touch. Clients work closely with Alex Toomy, Jean Ann Woods, Rich Bell and Joanne Muse to achieve the home of their dreams. Building a home requires a strong working relationship between the builder and their client. MacMillan-Pace strives to make that relationship a lasting friendship by providing ultimate satisfaction for their client. Having worked together for many years, the team at MacMillan-Pace prides itself on efficiency through collaboration, energy responsible construction and a beautiful product for the people they love to serve. Distinctive homes built by MacMillan-Pace can be seen in the Ivy neighborhoods of The Rocks of Ivy, Ragged Mountain Farm and Old Ballard Farm. Our homes complement the natural beauty of the Blue Ridge Mountains and its surrounding environs. MacMillan-Pace, LLC is an Accredited Business with the Better Business Bureau. Alex has been working as a Class A contractor since 1989. He is the expert in the “bricks and sticks” of building. He has great understanding of how the house and lot should complement each other and a natural talent for siting houses for the best curb appeal. He ensures that each house is situated perfectly on the property, placing it in the best position for displaying its greatest features while also maintaining the integrity of the land and views. Jean Ann has been a Class A contractor since 1998. She manages the financial, marketing, client relations, and general supervision of the building process. Customer satisfaction is her number one goal and this is achieved through close collaboration with the homeowners. Serving as the first and most frequent contact for her clients, she views it as her responsibility to guarantee superior quality, value, and an overall enjoyable experience for her homeowners. Jean Ann’s experience, knowledge and working relationships within the building community serve as a valuable asset to the building process. Rich manages the day to day activities of the building process. As a Class A contractor and master carpenter, he brings over 25 years of experience to the job. His knowledge and attention to detail ensure the highest quality of craftsmanship. Rich works closely with the subcontractors to make certain the homeowner’s vision of the house is being achieved. Joanne walks our clients through every step of the building process to ensure the homeowner’s vision is realized with a minimal amount of stress. Her knowledge of design provides the clients with a wide range of options and styles when deciding the look and character of their home. She designs the kitchens and baths making sure they are perfectly suited to the client’s lifestyle and achieving both convenience and beauty. Through the whole selection process - from deciding paint colors to picking out plumbing and electrical fixtures to deciding on styles of doors – Joanne is there every step of the way for the homeowner. Below are a few quotes from happy clients of ours. You can see their original posts on our Houzz page.